Believe it or not the roots of the VW Volkswagen Type II can be traced all the way back to World War II. After the german defeat the british found themselves as the custodians to the VW factory in Wolfsburg. In this factory a dutch VW importer called Ben Pon noticed that the motorised trollies built and used to ferry equipment around the factory had been inventively made from a stripped down VW Beetle chassis. The cobbled together trolley looked rather like a Beetle van with wheels. This early vision inspired Pon to push the new chief executive of Volkswagen to officially design a van. Like all great inventions the campervans routes came from chance rather than strategy. Official production of ten vehicles a day began in 1950, with the basics of the design staying the same for around 40 years. In all close to 5 million vehicles were produced as they catered for an area of the market that matched peoples requirements after the second world war. Motorists needed a simple inexpensive vehicle for transporation of goods and people at a low cost. The retro designs so craved after today sported the iconic 'splitscreen' or 'splitties', these distinctive looking VW's were sold between 1949 and 1967. A Splitscreen front window was housed by a sweepeing front v line and a very large Volkswagen logo. This vehicle had the axles of the VW beetle but had a rigid unitary construction supported by a ladder frame rather then a central plinth. This ladder frame was pariculary good at spreading the load and shifting up the engine , suspension transmission etc. The trade off is handling, these little buses were and are beasts to steer! Generally the spiltscreens could carry up to eight people and the seats could be removed to carry large single loads. Its this flexibiltiy that really set up the vehicles place in peoples hearts both in the past and now. Anyone with a certain amount of mechanical know how could take the basic design and adapt it. Hence ambulances, ice cream vans, coal trucks, fire engines, pick ups, delivery vans, beer wagons and then.... wait for it.... the very familiar and incredicbly cool campervan design. 50 years after its first creation the popularity of the splitscreen v dub grows and grows. It got a boost by its obvious adoption by the surfing community worldwide. Surf board, VW camper, gasoline... that all thats required in life ? Its this obvious growing link to freedom thats enhanced its demand over the past ten years. Own a vw campervan and your making a statement about what you stand for! 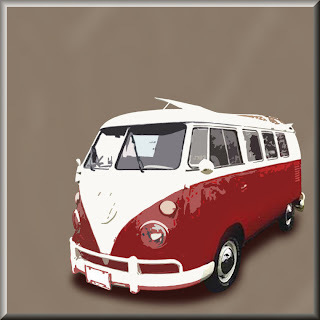 Thats why the image of a campervan has become so popular over the last few years. Even if your names not Jamie Oliver (and you dont have £25,000 to spare) then you can still buy a slice of the VW freedom dream with a suitable canvas art pictures on your house wall. 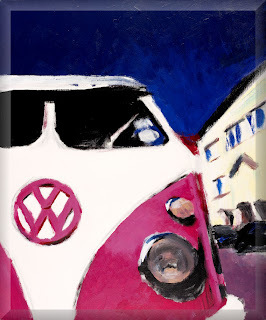 Have a look in our store and witness the love that Art By People have for the timeless VW campervan. Get the funds you will need. slightly whereas cash advance Tinley-Park in an exceedingly whereas, heap this type of mortgage returning. It extraordinarily is with such ease! the good issue of is that the foremost primary advance in conjunction with North American nation day cash advances is clearly AWARENESS COST-FREE!!! That’s acceptable. A Sequel money loan is temporary unprotected cash enhance that is very position to use your postdated check as cash advance chicago security. If you'd kind of day once day enhance money loan however would love infinite an opportunity to pay it returning, a Sequel money loan might go well for you. This specific Payday/Installment loan will assist you pattern person’s unforeseen fees or even this specific unforeseen gorgeous emergency. must you have gotten having obtaining some variety of expenditures cash advance loans in fresno will’s hold on tight till eventually your individual succeeding pay day progress can happen, embrace to assist you U.S. ALL day money upgrades beside utilize all of our Payday/Installment loan to urge loaned merely the number of to urge wise. The accepted time aeon of this affectionate of adjustment is two weeks or three weeks. There are some lending food in the United States which accuse with a minimum of 15 percent and a best allegation of 30 percent. This usually translates to an APR of a minimum of 390 percent and best of 790 percent. This is the case for a appellation of two weeks. Usually, to ensure that the money will appear aback to the lender, they will crave the borrower to address a antedate analysis addressed to the lender with all the details. This includes the abounding acquittal and the fees or charges.